Last year, The Family Center began partnering with the National Council for Behavioral Health to launch and implement a Trauma-informed Care Initiative. This Initiative is aimed not only at strengthening our services for New Yorkers affected by trauma, but also at infusing an increased sensitivity about, and responsiveness to, trauma and re-traumatization into all our work. The Initiative kicked off with a day-long training of all staff, as well as client representatives and community partners, in late summer 2017. Since then, a Core Implementation Team, which includes a client representative and staff from across departments, has been leading The Family Center through the process of becoming more trauma-informed. The Family Center’s Core Implementation Team has designated workgroups to address the seven domains of trauma-informed care. These domains include: early screening and assessment, consumer-driven care and services, nurturing a trauma-informed and responsive workforce, evidence-based and emerging best practices, creating safe environments, community outreach and partnership building, and ongoing performance improvement and evaluation. Starting January 2017, The Family Center is conducting our annual, agency-wide Client Satisfaction Survey asking clients, and even prospective clients, to evaluate our work and approach to engagement. This is the first time we will conduct a survey with a trauma-informed lens to analyze the data. All agency staff are being trained in CRP and Mental Health First Aid during the first quarter of 2018. TF-CBT, which stands for Trauma Focused-Cognitive Behavioral Therapy, and is available to any client enrolling in individual counseling. 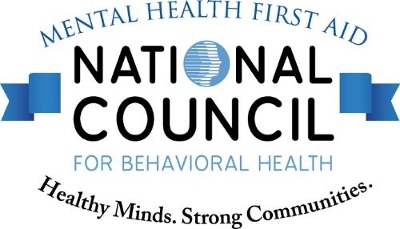 Later this year, The Family Center will convene a year-one closing summit with the National Council for Behavioral Health to celebrate our successes and plan for the sustainability of our work to become trauma-informed. While our partnership with the Council will end, The Family Center remains committed to continuing our work to become more trauma-informed as an ongoing quality improvement effort.